Wide selection of family houses design plans. You can choose from 18 type varieties of family houses. From small to big, from classic to modern, from low-energy through passive to active family houses, as well as resistant houses with higher rigidity and intelligent houses of third millennium. We can supply all our design plans in mirror version at no additional cost. Very friendly and unified price of design plans – 999 €. To simplify a family house choosing, from 2013 we set very friendly and unified price for all realization design plans of 999 €. This price forms 0,7 – 1,2% in average of total budget cost of construction. Individual design plan of the comparable quality can be several times more expensive. Immediate delivery of the project - delivery time from 3 hours to 5 working days. Our company uses its own hi-tech digital large-scale printing of drawings, which guarantees excellent quality and very fast delivery of the type design documentation. Our own blueprinting and expedition turn allows rapid project completion and shipping. Thanks to the modern technologies we can deliver type design documentation virtually on the spot. EUROLINE SLOVAKIA has the scope of the Slovak Republic through 39 dealerships. With our sales representatives you can get free advice about choosing the design of the house and you can order project under the same conditions as in our company headquarters. Sales representatives can make required changes to the project, ensure setting of the house on the property, ensure the building permit or provide financial advice in securing a mortgage loan, or they can ensure the construction of a house. The leader on the market. EUROLINE SLOVAKIA is more than 18 years the largest supplier of family houses designs in Slovakia and one of the leading in the Czech Republic. During this period we meet demands of more than 27,000 customers who already live, or who are just building a house from our selection. Thanks to our own production, we can set very reasonable prices for our customers and maintain a high quality of our projects, which determine the trends for other designers and architects. Our homes are regularly appearing as winners in various polls of "HOUSE OF THE YEAR"
7. 5% discount for the clients of the Prva Stavebna Sporiteľna. Authorized holder of the construction savings in Prva Stavebna Sporitelna is entitled to 5% discount of our design project. You can pick up a free DVD catalogue in our office or in our sales representatives. We can send you a catalogue on DVD to your address in Slovakia for 1 € when paying in advance via internet-banking, or cash on delivery for the price of 1 € + postage. Free catalogue for mobile devices. As the first company in Slovakia and the Czech Republic we have a free application for mobile operating system iOS and Android, for tablets and mobile phones. Free itemized budget report and assessment. Our company supplies a detailed itemized budget to each project documentation purchased, which is used to control the supply price and is needed for mortgage financing of construction. Report and assessment is used to prepare a tender for the construction of a house. Report and assessment can be sent electronically even before you buy house project documentation. On the basis of this report and assessment a construction companies can elaborate a bid for your chosen house before you purchase the project design. Free feasibility study in 1:200 scale. If information about the house you choose from the catalogue is not enough, you can order a feasibility study for 6, - € before you buy the project. You receive a feasibility study at the company headquarter on the spot, if ordering by mail within 48 hours. If you order the project design, cost of the feasibility study will be subtracted from the price of the project. Free digital support on the Internet. Every customer who buys project documentation of our company gets customer number, through which they will have access to our web-portal to customer support where you can download the information in PDF format of all necessary materials and products for the purpose of competitions. They also find a rich legislative support and a number of forms required for processing building permits etc. Design changes and additional services. If our type project does not completely meet your demands, we can make changes to the project under favourable conditions. We will provide design changes directly in our company headquarters or through our 39 dealerships. We also provide other services such as setting of a house on your parcel, connection to utility networks, planning of an external paving, fencing. We can provide building permission, or we can provide financial advice to finance construction and assist in selecting a building contractor. 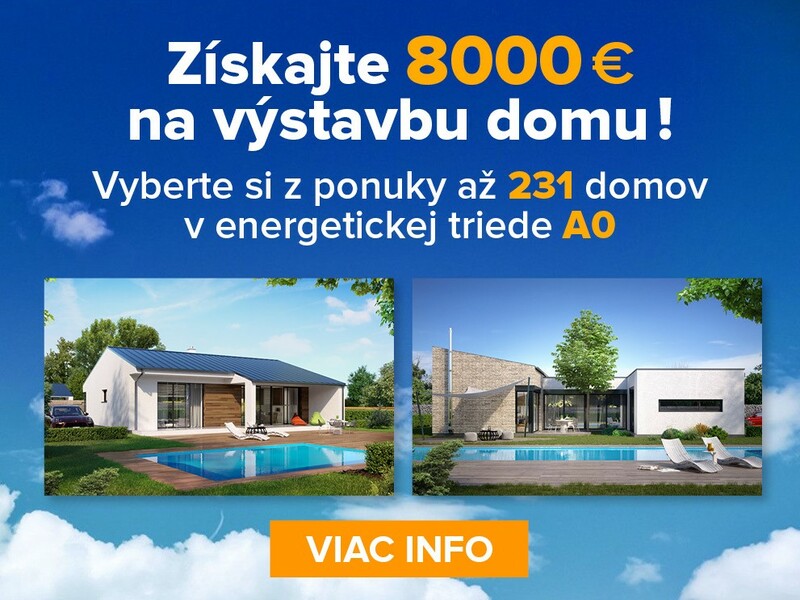 EUROLINE SLOVAKIA offers to its customers the energy certificate for favourable terms in price of 155, - €. The energy certificate is needed to a final house approval and can be made after the construction of a house is completed. Each drawing of the house project documentation is original printed to the name of a particular customer, construction site and parcel number. Project documentation is transferable only with the written permission of our company. Each drawing is labelled with customer number under which it is in our archives. Individual drawings or whole prints in case of its loss or destruction, you can order in our office on the spot for favourable conditions.